The yellow of fall continues to impress me. The Chamisa bloomed right before the cotton woods changed color, so I missed most of them. I found this late bloomer and captured it! 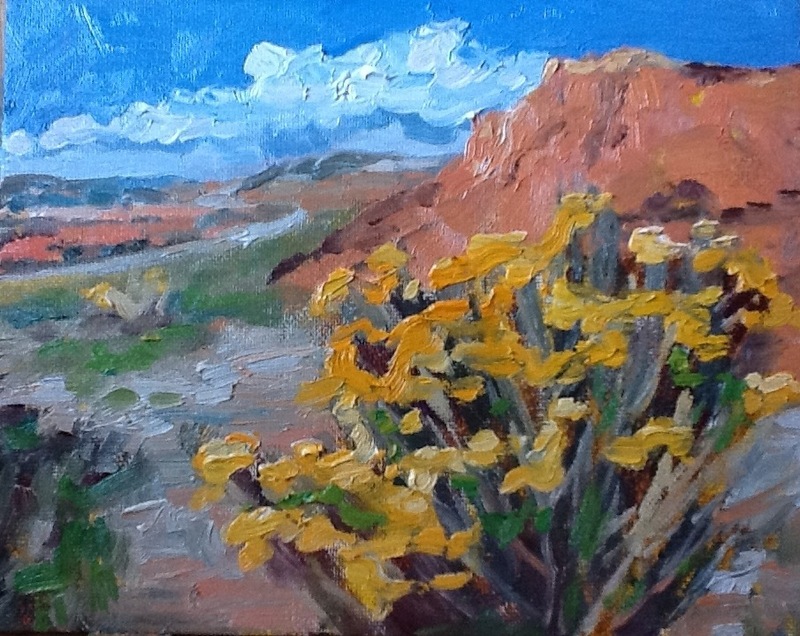 I love enjoying your week at Ghost Ranch in live color through your beautiful paintings. Thank you for sharing your world with all of us.